Papa John's took an extraordinary step to keep its founder at a distance. The board of directors said it approved a so-called poison pill provision, aimed at preventing former CEO John Schnatter from gaining more control of the company he founded. Schnatter resigned as chairman after admitting to using the N-word on a conference call. He later called the resignation a "mistake." The company removed Schnatter from its commercials and marketing materials and kicked him out of office space at its headquarters. But getting rid of Schnatter completely will be difficult. He and his associates own 30% of the company's stock, and he remains on the board. Schnatter isn't going quietly. He sent a letter to the pizza chain's board, accusing it of not "doing any investigation" when he was forced out of his chairmanship. He said its decision to remove him was based on "rumor and innuendo." Schnatter's attorney told the board that any attempt to remove Schnatter from the board without a "proper vote of the shareholders will be null and void." So the board is preparing for a fight. The poison pill language adopted by the board is designed to prevent anyone from taking control of the company by buying a controlling stake in the open market. The poison pill goes into effect if Schnatter and his associates increase their stake to 31%, or if anyone else acquires 15% of Papa John's (PZZA) common stock in a deal not approved by the board. Stockholders would then be allowed to buy shares at a discount, diluting the control of Schnatter or anyone else trying to build up a stake. The plan is set to expire in one year, the company said. 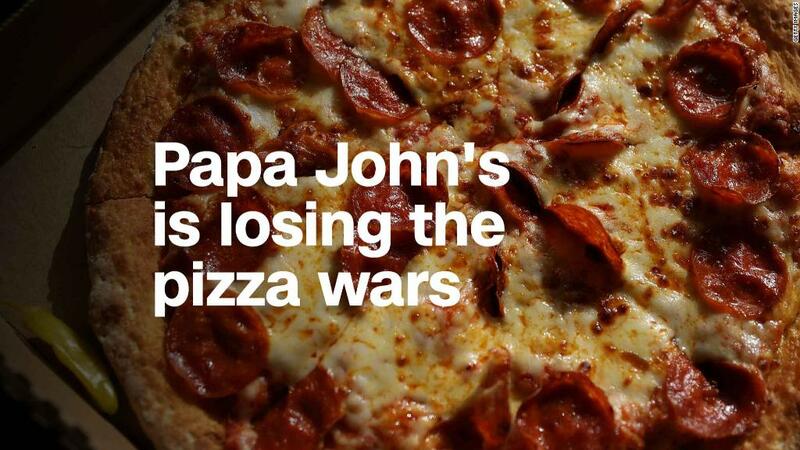 Papa John's stock was down more than 4% in premarket trading.